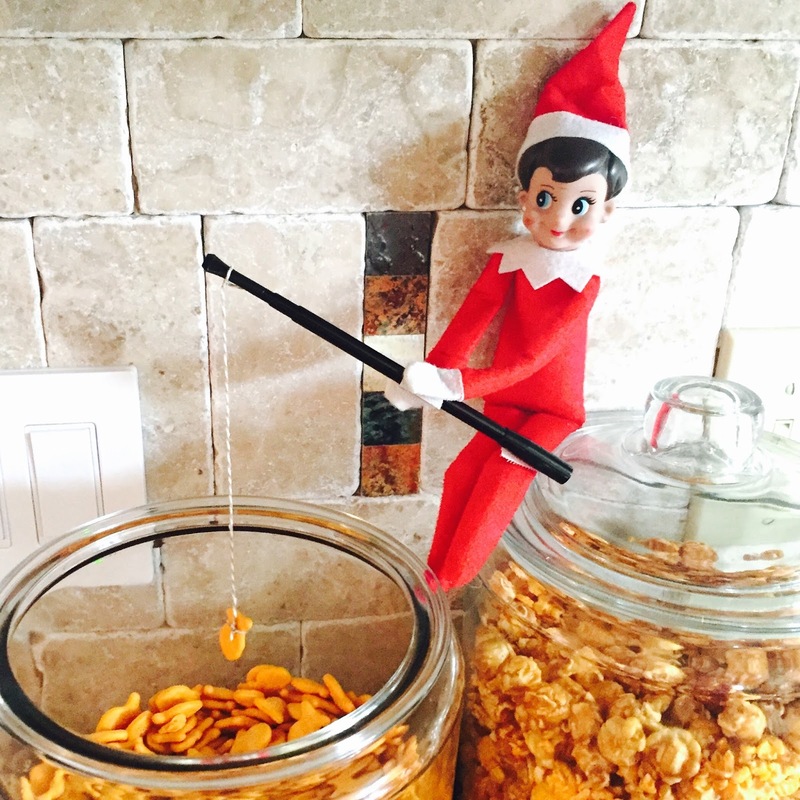 I purchased our Elf on the Shelf in December of 2012 when I was six months pregnant with what everyone assumed would be a girl. The only elves left at Target were girl elves, so I picked one up, imagining our future daughter searching for it at holiday time. Much in the same way, we also ended up with a pink nasal aspirator. I was nine months pregnant and at Buy Buy Baby, where they only had pink ones in stock. So I purchased one, and the next week gave birth to a baby boy. We actually still have the nasal aspirator, and I chuckle each time I see it. 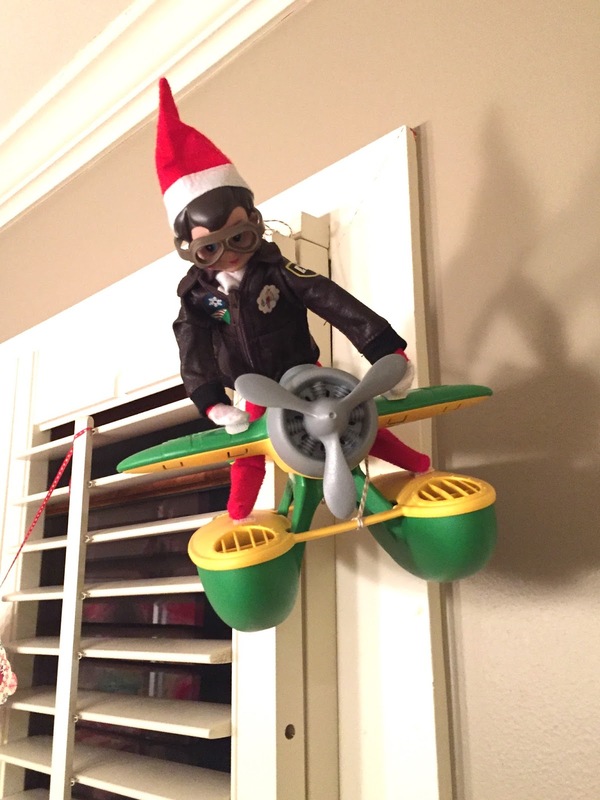 And, this is how Parker happened upon having a girl Elf on the Shelf (which I actually don't think is that out-of-the-ordinary since most of the adults he encounters at play dates/story times/classes are women, so having a girl elf watching him follows this structure). Despite the fact that we've had our elf three years, this is the first year she's actually come out (partially because we were moving last year, and partially because this is the first year where Parker could really get into it). My biggest find, however, is sticky velcro. 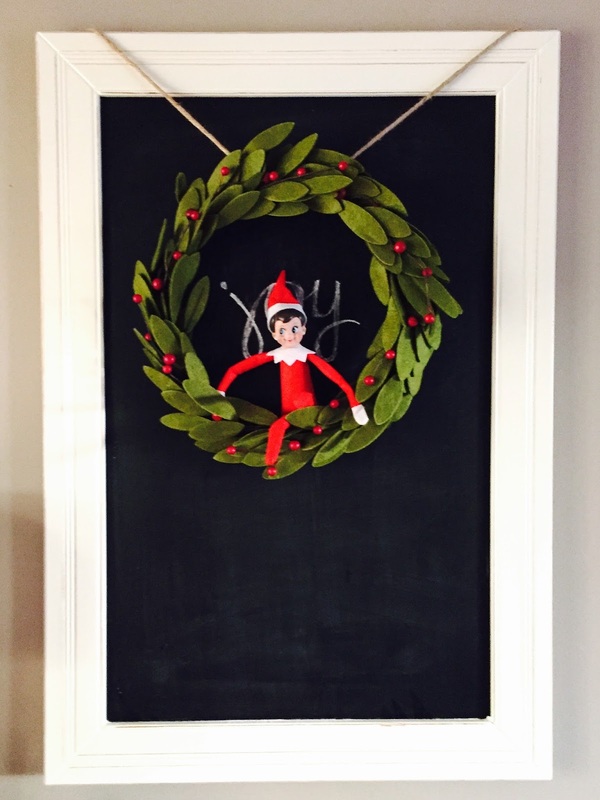 The elf is made of felt, which sticks to the velcro incredibly well. So I place the velcro stickers wherever I want the elf to be, and presto! And then there was my favorite day. The day Lady brought donuts. You bet I made those babies! 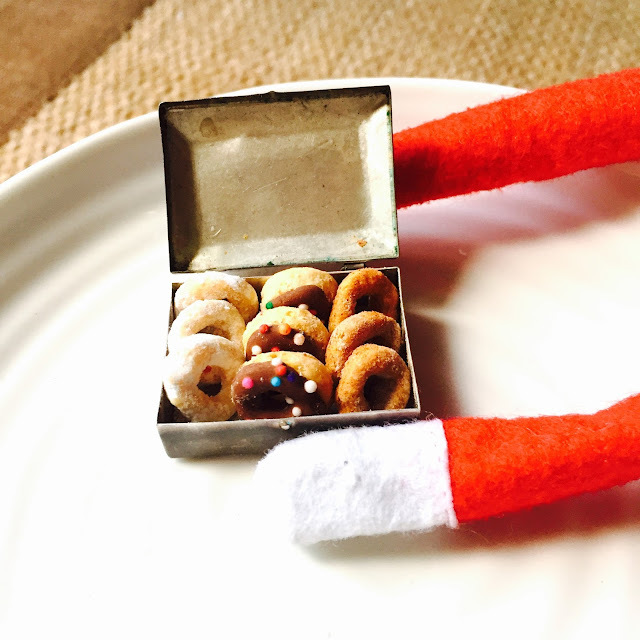 Simply take cheerios and decorate as you would real donuts (powdered sugar, chocolate icing, and cinnamon sugar, yum). 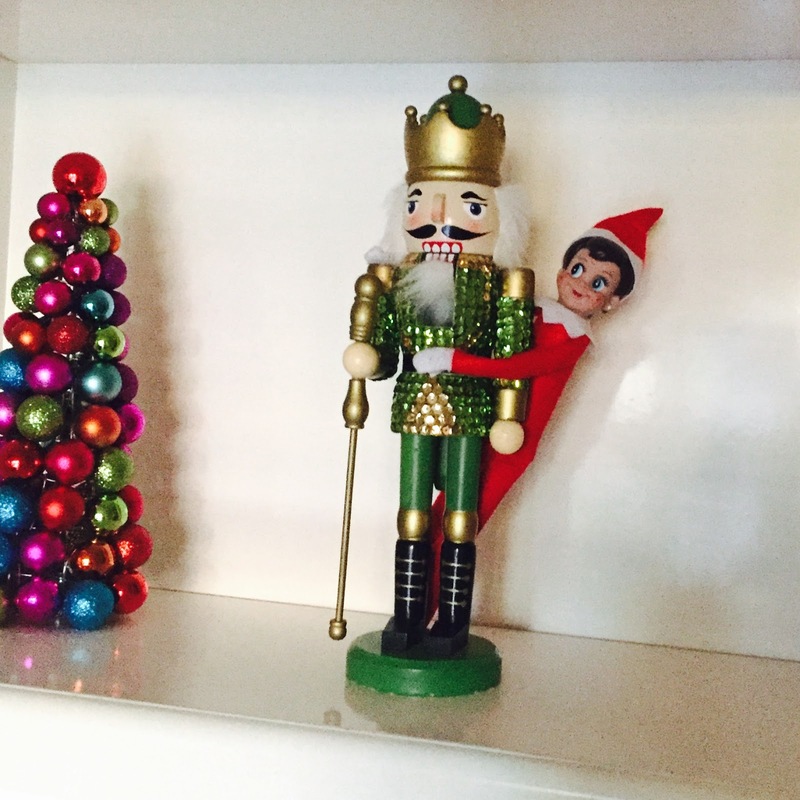 And while I love Lady, this little guy has to be my favorite elf of all. LOVE!! There's even outfits and everything!! What fun! forwarding this to my sister with little girls for all these great ideas!! 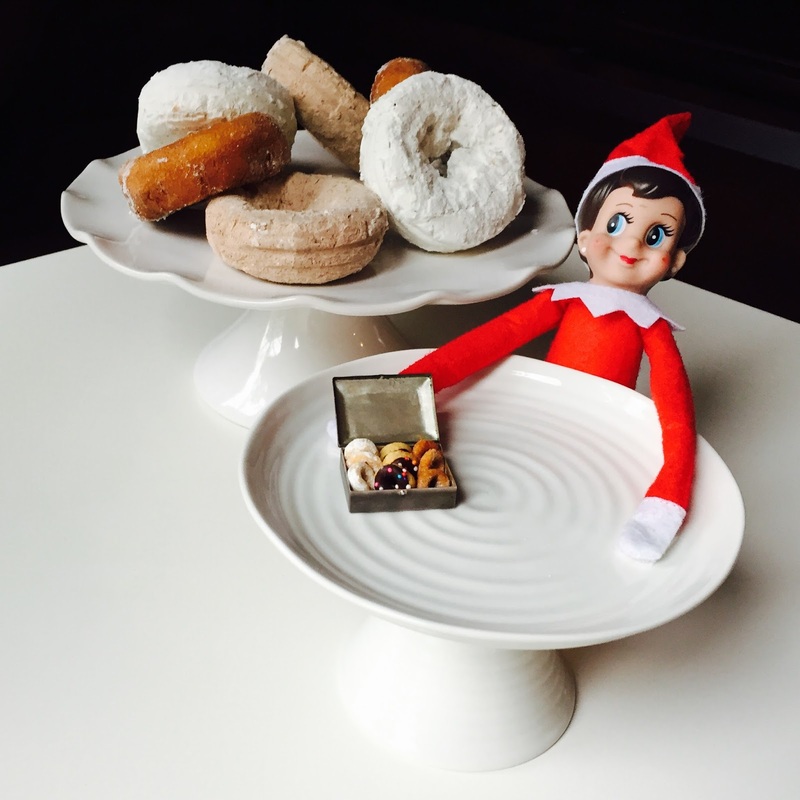 So cute, we love our elf on the shelf!! 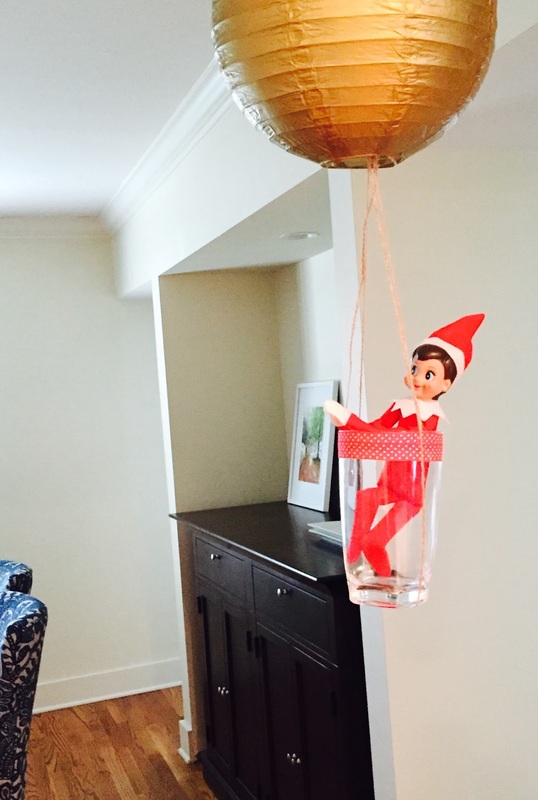 Professional Elf Stager- I love it!